Captain Leon "Lynie" Maree has been fishing his whole life. His father and grandfather taught him how to fish and he has been deep sea fishing since he was 12. Captain Lynie worked for 8 years as a commercial fisherman before making the move to charter fishing. 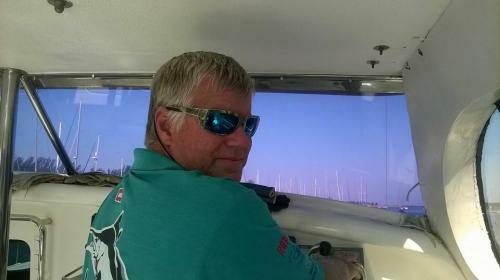 Now he runs charters full time aboard his very own boat. Captain Lynie has taken part in various tournaments with great success, especially when targeting Marlin. Simply put, he loves fishing and he knows how to do it well.